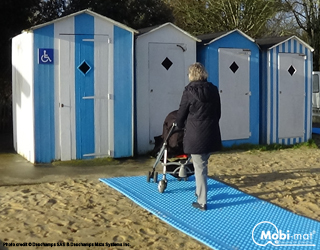 Mobi-Deck™ panels are durable and strong composite panels designed to enhance the mobility of pedestrian, wheelchairs and vehicles over unstable grounds. 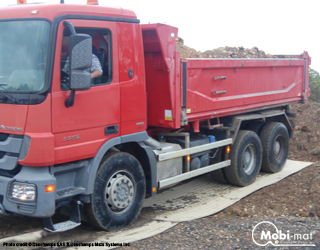 They provide an extremely firm surfacing over soft flat sand, gravel, mud, etc. 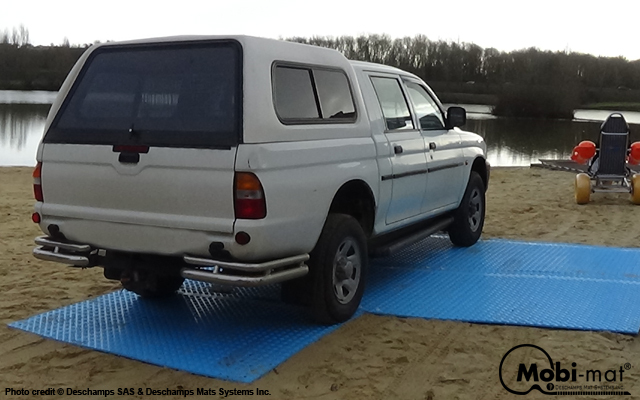 Mobi-Deck™ panels’ are 5ft x 6ft long. 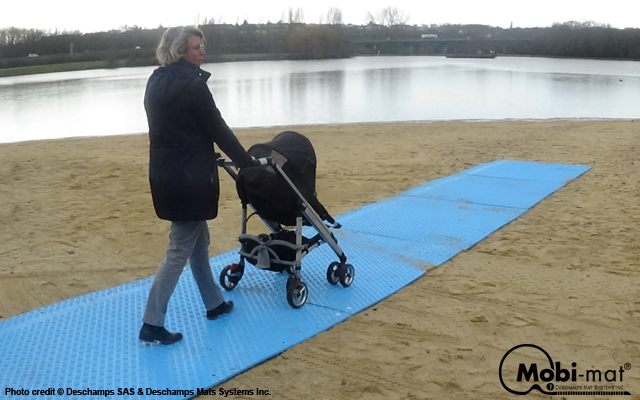 They are installed at beach entrance to provide a 5ft or 6ft wide ADA/ABA access for wheelchair users and people with mobility issues. 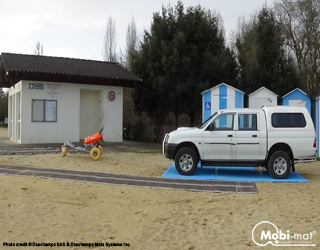 Mobi-Deck™ panels provide access and efficient ground protection when used over wet and soft grounds, great traction for medium wheeled vehicles and also protects your turf. 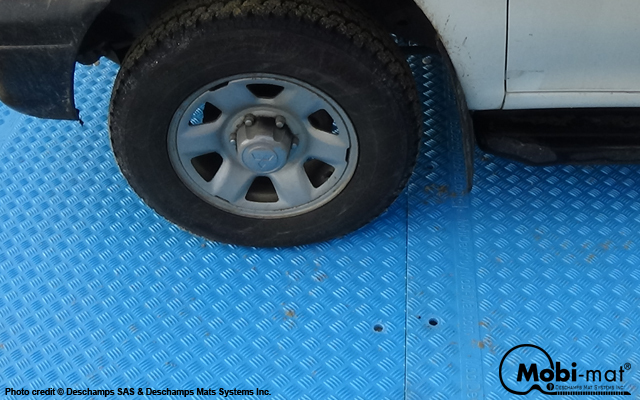 Mobi-Deck can handle up to 80 tons. 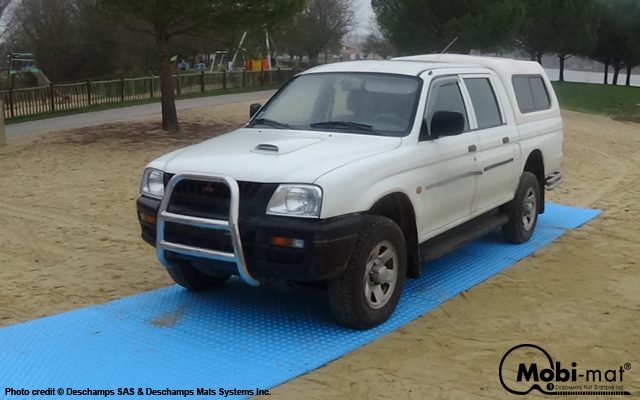 • on the reverse side, a corrugated surfacing that provides traction to wheeled vehicle in sand and prevents “spin out” in wet or slippery conditions like landscaping projects and construction sites. 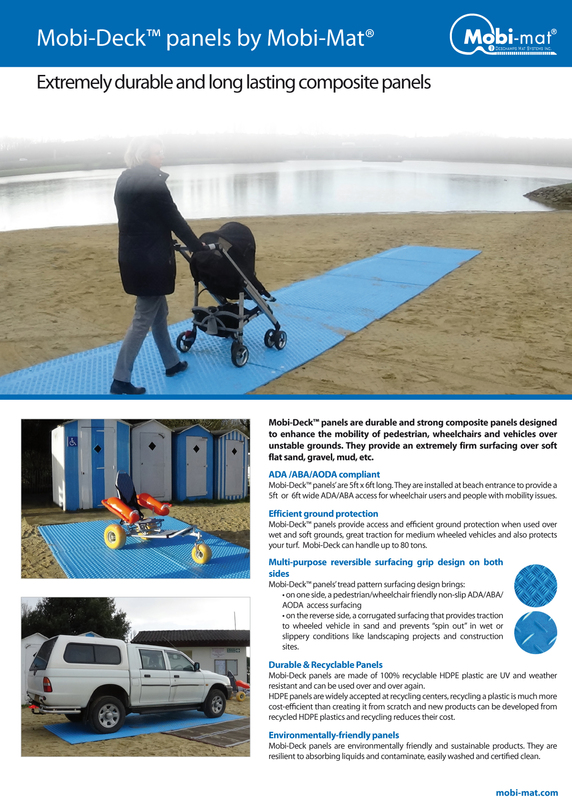 Mobi-Deck panels are made of 100% recyclable HDPE plastic are UV and weather resistant and can be used over and over again. HDPE panels are widely accepted at recycling centers, recycling a plastic is much more cost-efficient than creating it from scratch and new products can be developed from recycled HDPE plastics and recycling reduces their cost. Mobi-Deck panels are environmentally friendly and sustainable products. 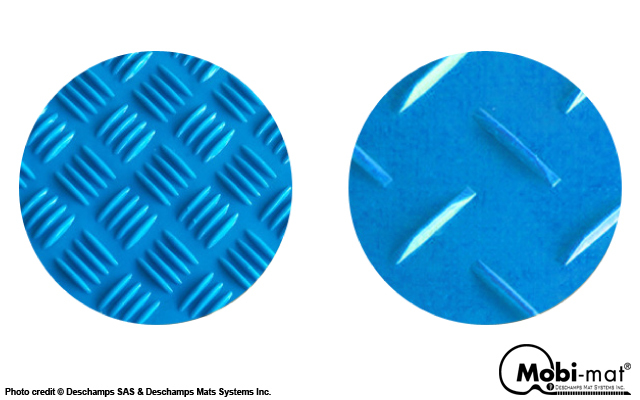 They are resilient to absorbing liquids and contaminate, easily washed and certified clean.